Donald Trump preferred the Neofascist Marine Le Pen as president of France, who wanted to pull out of NATO and the European Union. Trump’s own Environmental Protection Agency advisers are resigned because of his attack on the science of climate change. Trump is mulling pulling out the the Paris agreement on combating climate change adopted by 200 countries and territories. In contrast, China’s President Xi Jinping called the new French leader Emmanuel Macron this week, urging him to adhere to the Paris agreement. He was preaching to the converted, since Macron is big on green energy and has even called on American scientists and engineers disillusioned with the GOP war on science to come to France. Macron plans to invest 30 bn Euros ($32.8 bn.) in wind, solar and other green energy, and to double electricity production from renewables in five years. For its part, China just suspended any plans for new coal plants in 29 provinces because of the severe pollution and health costs of smog and the danger to the world from emitting poisonous carbon dioxide, which is destroying the climate. Beijing sighed a sigh of reliev when Macron beat the extreme right candidate Le Pen by 30 points. Their only worry now is whether the untested and very young Macron can actually deal effectively with crises like unemployment and tensions in Europe. In the phone call, Xi also affirmed China’s support for European integration. Unlike Trump, who wants to pull Europe apart and push each individual country toward white nationalism and plutocracy, China prefers to deal with larger units economically and politically. 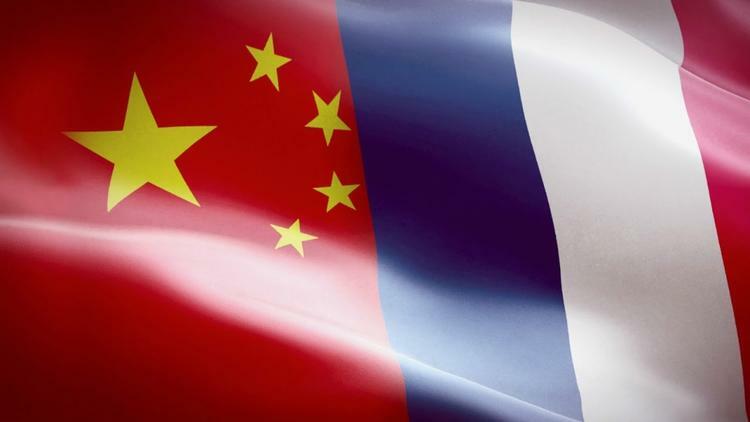 Xi also invited France to buy into China’s New Silk Road, the attempt to redo Eurasian transportation and other infrastructure so as to give a fillip to world trade. I know which leader is a more positive force in international affairs, by far (domestic policies and press are a different issue, though I don’t trust Trump on those either).